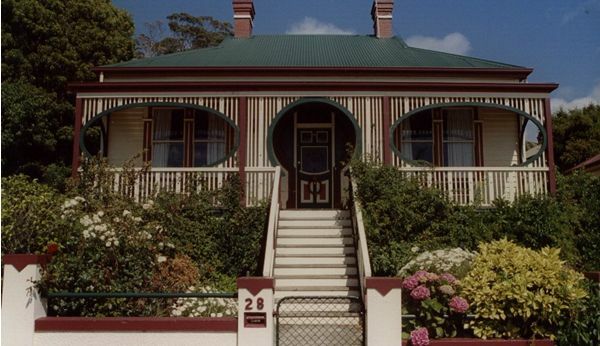 Burnie's friendliest self contained two bedroom boutique accommodation awaits the pleasure of your company when you next visit the north coast of Tasmania. If you're looking for total comfort, real charm and excellent value then you have certainly come to the right destination. The Duck House has won the hearts of all who've spent a night or two here amidst the luxurious surroundings and whimsical duck memorabilia (you are invited to read the Guest Book accolades elsewhere at this website). Accommodates five. Adjoining cottage takes 7 more. You'll find well over 20 items of ducky memorabilia in all manner of locations throughout The Duck House. We're famous for it! How many items can you find? And how did the duck thing start? You can read all about it here at this accommodation website. Mrs Philpotts is a fully self contained heritage cottages suitable for either a single person or a small family or travelling group. This cottage can accommodate 6 guests. Mrs Philpotts offers a 2 minute walk to the centre of town, total comfort, real charm and excellent value. Mrs Philpotts is fully self- contained. In addition to the bedrooms you have a fully equipped kitchen, dining room, lounge, bathroom, laundry, private verandas and gardens for you to relax in and enjoy. Feel free to use the produce from our vegetable and herb gardens. Mrs Philpotts has 3 bedrooms. The first bedroom has a queen bed. 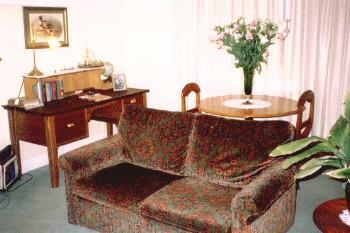 The second bedroom has a double bed and the third bedroom has twin king singles. Full breakfast provisions are included. This includes: bacon, free-range eggs, choice of cereals, breads and butter, Tasmanian jams, plunger coffee, selection of teas etc. Extra Person rate $40.00. Concessions for children are available. 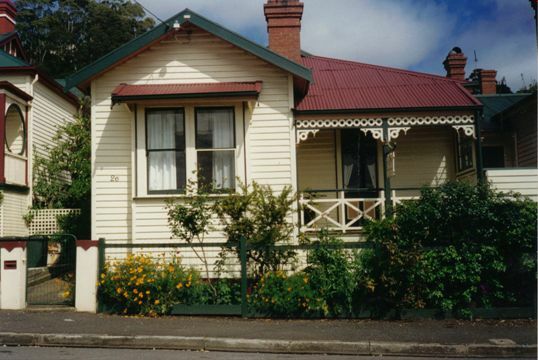 Amelias is a fully self contained heritage cottages suitable for either a single person or a small family or travelling group. This cottage can accommodate 6 guests. 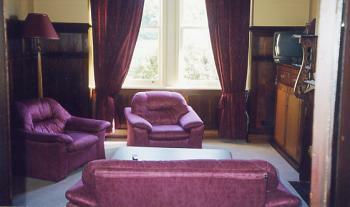 Amelias offers a 2 minute walk to the centre of town, total comfort, real charm and excellent value. Amelias is fully self- contained. In addition to the bedrooms you have a fully equipped kitchen, dining room, lounge, bathroom, laundry, private verandas and gardens for you to relax in and enjoy. Feel free to use the produce from our vegetable and herb gardens. Amelias has 3 bedrooms. The first bedroom has a queen bed. 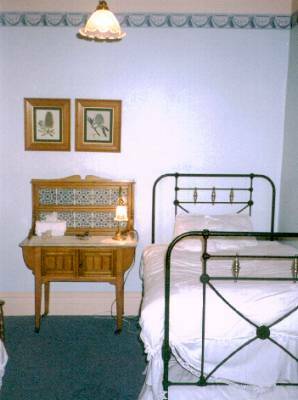 The second bedroom has a double bed and the third bedroom has twin king singles. Full breakfast provisions are included. This includes: bacon, free-range eggs, choice of cereals, breads and butter, Tasmanian jams, plunger coffee, selection of teas etc. Concessions for children are available. : The Duck House is a fully self contained heritage cottage suitable for either a single person or a small family or travelling group. 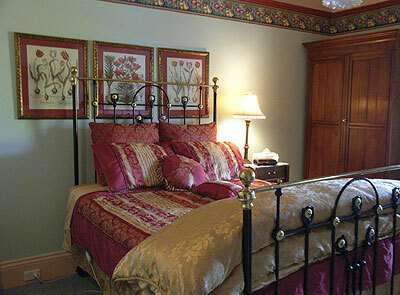 The cottage can accommodate 4 guests. The Duck House offers a 2 minute walk to the centre of town, total comfort, real charm and excellent value. 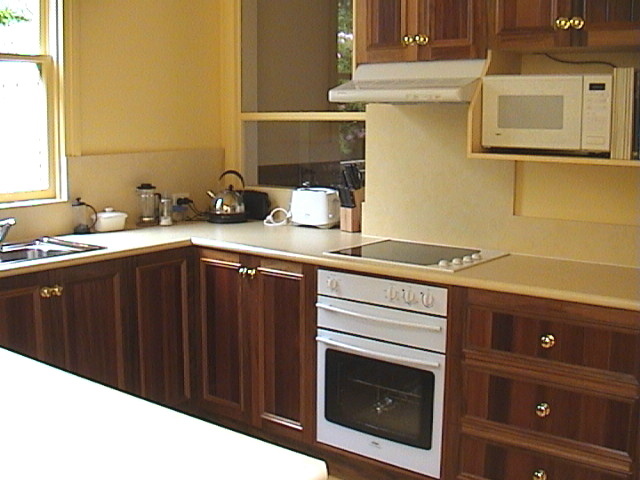 Room/Unit facilities: Each cottage is fully self- contained. In addition to the bedrooms they have a kitchen, dining room, lounge, bathroom, laundry, private verandas and gardens for you to relax in and enjoy. Feel free to use the produce from our vegetable and herb gardens. Extra Person Rate $40.00 Concessions are available for children. Inclusions: A Full Breakfast Hamper is provided . The Duck House is a fully self contained heritage cottage suitable for either a single person or a small family or travelling group. 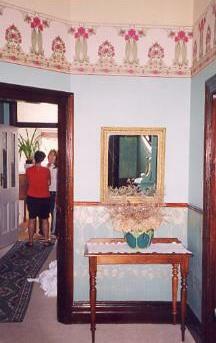 The cottage can accommodate 3 guests. 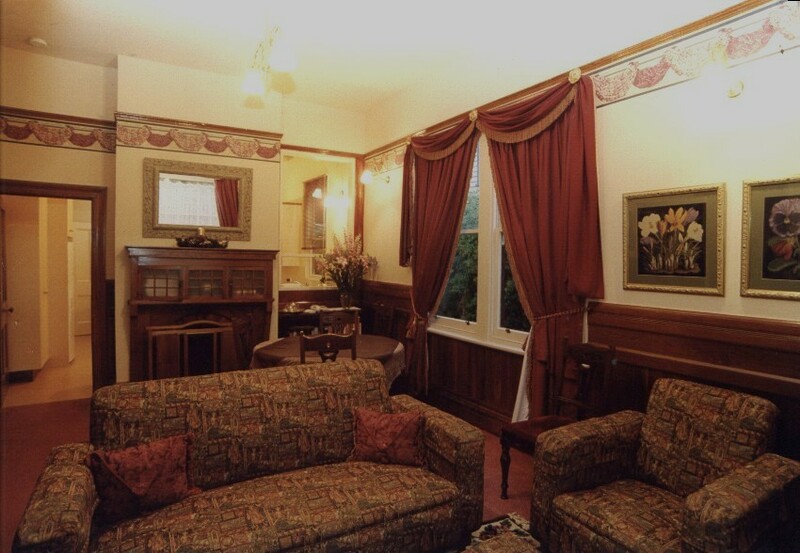 The Duck House offers a 2 minute walk to the centre of town, total comfort, real charm and excellent value. 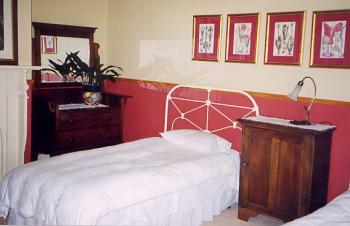 Room/Unit facilities: Each cottage is fully self- contained. In addition to the bedrooms they have a kitchen, dining room, lounge, bathroom, laundry, private verandas and gardens for you to relax in and enjoy. Feel free to use the produce from our vegetable and herb gardens. Extra Person Rate $40.00 Concessions are available for children. Inclusions: A Full Breakfast Hamper is provided . 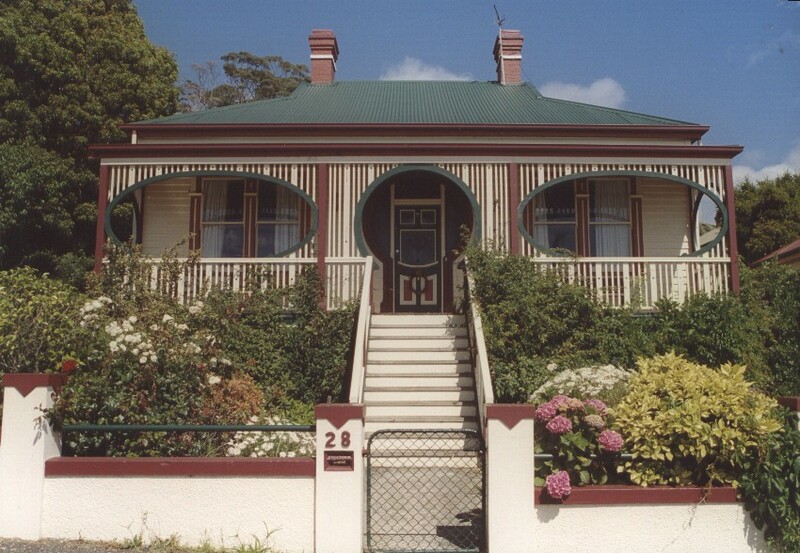 All Heritage Cottages are fully self contained suitable for a travelling group. These cottage can accommodate 6 guests each. The Heritage Cottages neighbour each other and offer a 2 minute walk to the centre of town, total comfort, real charm and excellent value. 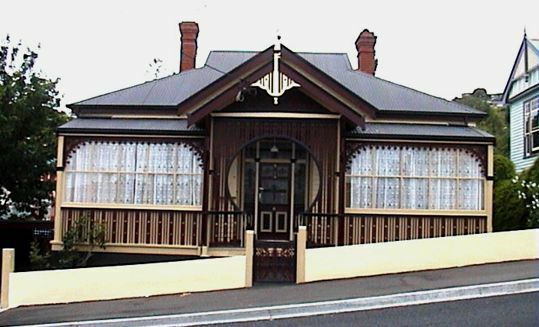 The Heritage Cottages are fully self- contained. In addition to the bedrooms you have a fully equipped kitchen, dining room, lounge, bathroom, laundry, private verandas and gardens for you to relax in and enjoy. Feel free to use the produce from our vegetable and herb gardens. Amelias and Mrs Philpotts have 3 bedrooms. The first bedroom has a queen bed. 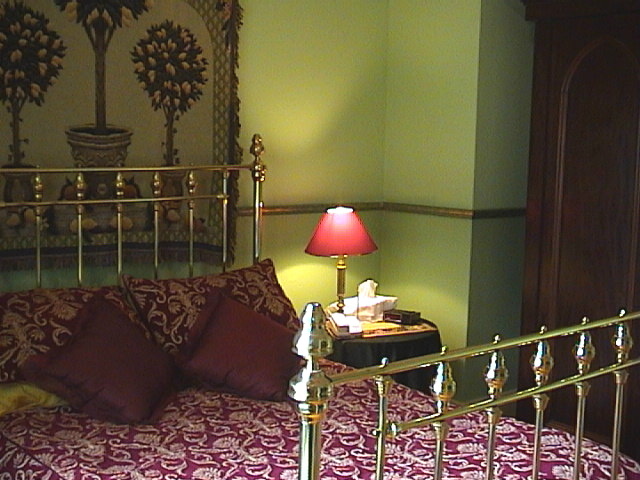 The second bedroom has a double bed and the third bedroom has twin king singles. The Duck House has 2 bedrooms. The first bedroom has a queen bed and the second bedroom has 1 king single and 1 standard single. Full breakfast provisions are included. This includes: bacon, free-range eggs, choice of cereals, breads and butter, Tasmanian jams, plunger coffee, selection of teas etc.